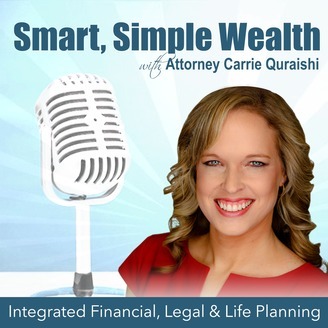 Integrating your financial, legal & life planning all in one podcast. 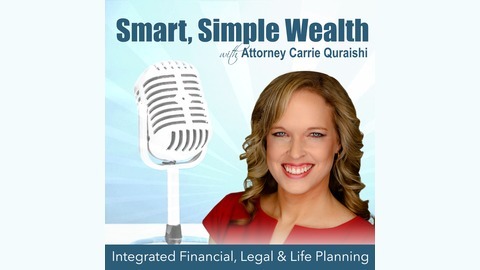 Carrie Quraishi is an estate & wealth planning attorney at Quraishi Law Firm in Arkansas and Texas. Carrie is dedicated to using her wealth of experience, mastery of the law and commitment to a client-first approach to help you protect what matters most – your wealth, loved ones, and legacy – and make informed and educated decisions about your money, so you can live a life by design, and not by default. When it comes to estate planning, naming your legal guardians for your minor children in the event something happens to you and your spouse is probably one of the hardest, but most important, decisions you’ll make. On today's podcast, we'll cover the 6 critical steps you should follow to select and name the right guardians for kids. We'll also answer Lou's question about being in a different tax bracket in retirement. And we'll have some fun asking Carrie about what kinds of clothing she used to wear that now makes her chuckle.